Who doesn't love Manchester Orchestra? 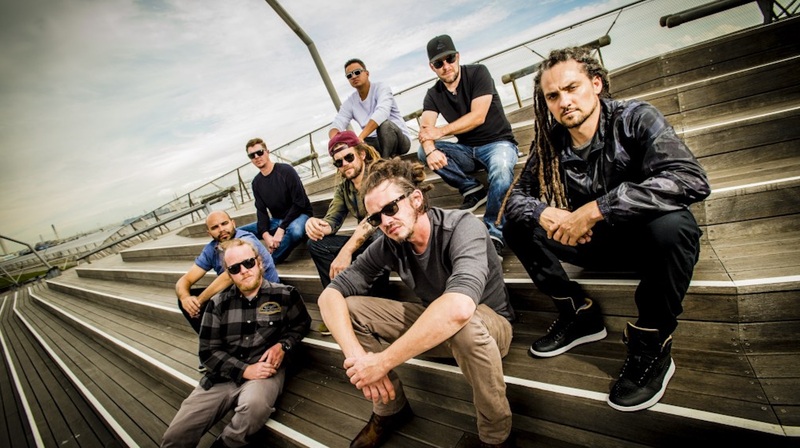 Grounded, empathetic, inspiring—the reggae eight-piece known as SOJA formed nearly two decades ago, and have been making waves ever since. The band's commitment to their roots, to making music that means something, and to honoring their core values shines through in every track on their latest album, Poetry in Motion. This two-time Grammy Award-nominated group has experienced the ups-and-downs of success, taxing touring moments, and nights when you’re almost too exhausted to even get up on stage, and they’ve come out stronger than ever. While SOJA is currently touring in Brazil, the North American leg of their tour will kick off in Port Chester on March 1! Then, they'll head to cities like Portland, New Haven, Contreal, Detroit, and Vail. Before they head out on tour, we wanted to know a little more about this band we love—specifically, what bands they love. Make sure to track SOJA on Bandsintown, so you don’t miss them when they come to a city near you! "This is a group that Jacob Hemphill and I have been listening to for awhile now. We’re both fascinated by their writing and are constantly trying to dissect Andy Hulls lyrics. Jacob and I would have a blast together in the crowd of a Manchester Orchestra concert." "I had seen them and listened to some of their music before but this year they really blew up with their new record Woodstock. It was produced by Mike D of the legendary Beastie Boys and i was pumped for it before it was even released. This was my favorite album of the year and I badly want to see it live. They’re going to be at the new DC venue The Anthem in February but I can’t make it." "We performed the same day at Bonnaroo a few years back and we got a chance to catch some of his set. His band and his performance slayed it. Now after DAMN. was released i wanna see how his full band interprets this album or if its more DJ based." "Because who wouldn’t want to see John Mayer crush Dead songs. Oh and because he plays PRS Guitars now. Welcome to the PRS family John." "Big fan of this band. Very Radiohead inspired and its tough to catch them performing live because the members are all members of other groups including Josh Klingoffer the singer who is also the guitarist for Red Hot Chili Peppers. So it you catch them live you know its special because of all the other schedules that need to be worked out behind the scenes."